MNM are leaders in manufacturing pressure sensitive adhesive based electrical insulation tapes from class A to class H temperature class. These self adhesive tapes offer very unique benefits to solving problems of electrical insulation. This resulted in development of a large number of insulating tapes for higher class of electrical insulation. These heat curing adhesives have a unique property where after the application, when the product has gone through the recommended curing cycle, the adhesives become solvent resistant. This is very important to the electrical industry where solvents are used for various specific operations involving insulating varnishes. 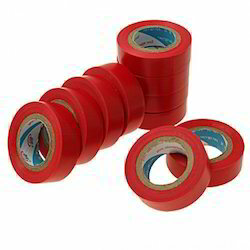 Looking for Electrical Insulation Tape ?